Good Friday morning afternoon (I’ll explain later)! Are you looking forward to the weekend … big plans or a little R & R? 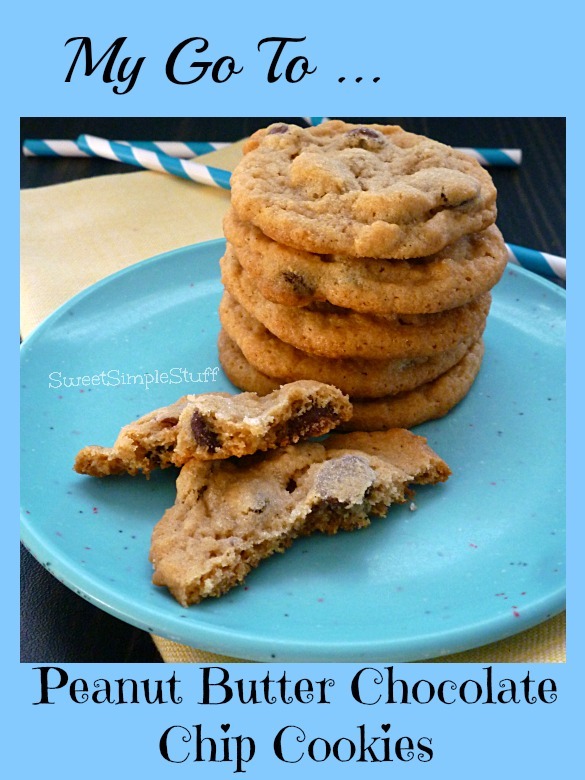 No matter what we have planned … my hubby (aka The Peanut Butter Man) always requests homemade cookies … maybe we should change his name to Peanut Butter Cookie Monster! 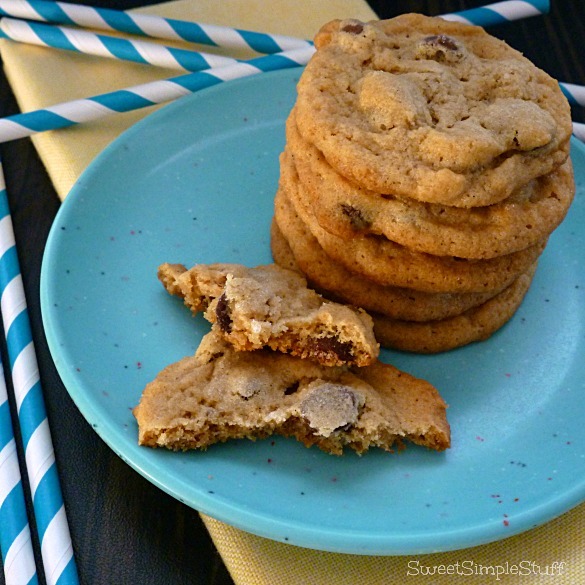 Today I’m sharing his favorite … Peanut Butter Chocolate Chip Cookies … my GO TO recipe! This cookie is soft and chewy, easy to make, not too peanut buttery, has milk chocolate chips … well, we think it’s just perfect! If you like peanut butter and milk chocolate … you’ll love them too! Line baking sheets with parchment paper. Heat oven to 375ºF. In a large mixing bowl – beat butter, peanut butter, sugars and vanilla until creamy. Beat in egg. Combine flour and baking soda. Gradually beat flour mixture into wet mixture. Stir in chocolate chips. 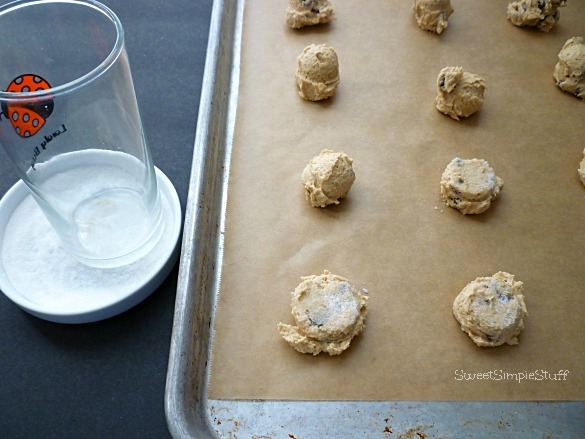 Use a cookie scoop (or melon baller) to drop dough on prepared baking sheets. Press dough down slightly with bottom of glass dipped in granulated sugar. Bake for 8 to 10 minutes or until edges are set but centers are still soft. Let stand for 4 minutes; remove to wire racks to cool completely. TOMORROW … I’ll show how I dressed these cookies up for Valentine’s Day! What flavor is your “go to” cookie? I think these have got to be my favorite type of cookie; close behind being, a good sugar cookie. I like dipping one end of my cookie in melted chocolate for that little extra Milk chocolate flavor…. Yum Yum. Colleen … we do think alike 🙂 I love cookies dipped in chocolate … will be sharing one in the near future!